Half term is at an end. Teachers, teaching assistants and school office staff will be back at work tomorrow ready for the final countdown! Today was my final opportunity for some holiday baking so I decided to opt for a loaf of bread. When we went to Iceland (the country not the shop!) I picked up the April copy of Good Food magazine for the flight and inside there was a whole feature on bread. Today’s recipe comes from that issue but you can find it online here. 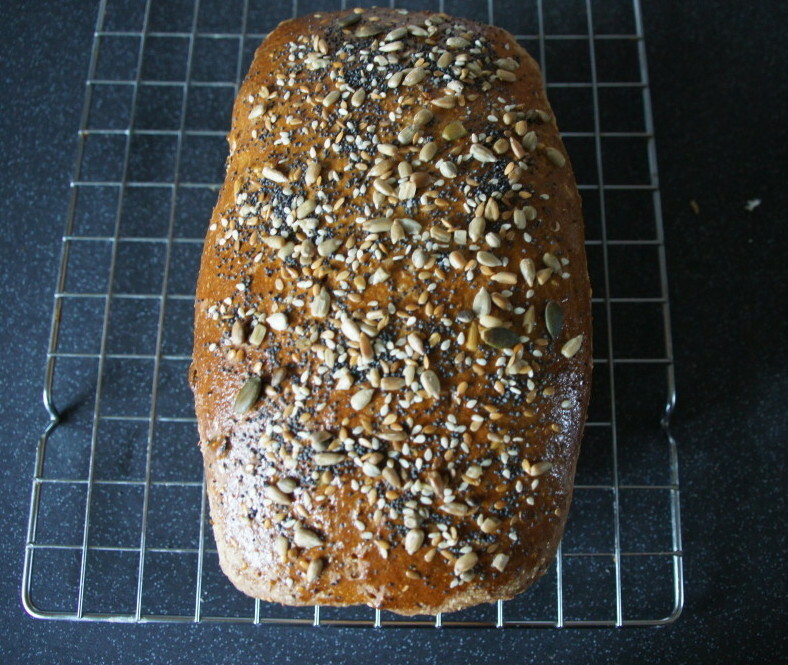 When Mr Birdie was given the choice of this seeded wholemeal loaf or a cheat’s sourdough he chose this one. In my mission to make the most of potential baking time the holidays offered I decided to make a loaf of bread. 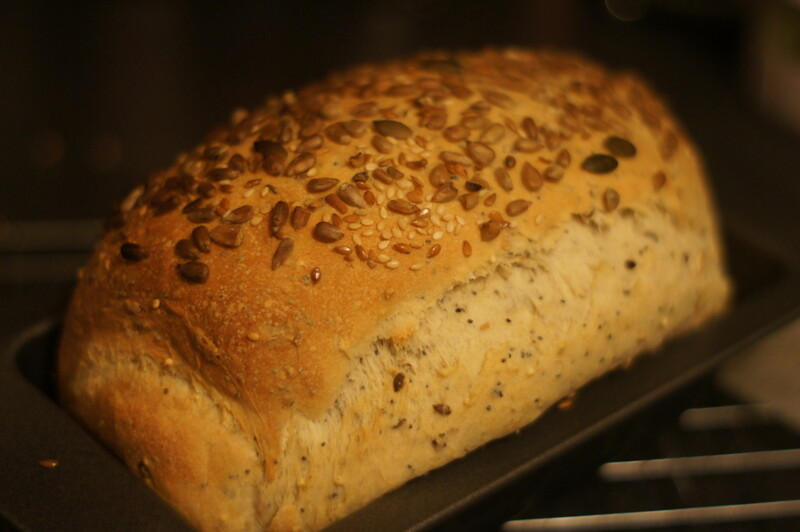 I had some Waitrose crunchy mixed seed bread flour that was open and needed using so I decided to use this to make a seeded loaf. The method I used for this recipe is based on this BBC Good Food recipe. I decided to prove my bread overnight in the fridge and altered the ingredients slightly as I didn’t have any malted, wholemeal or granary bread flour. I was very pleased with how this load turned out. 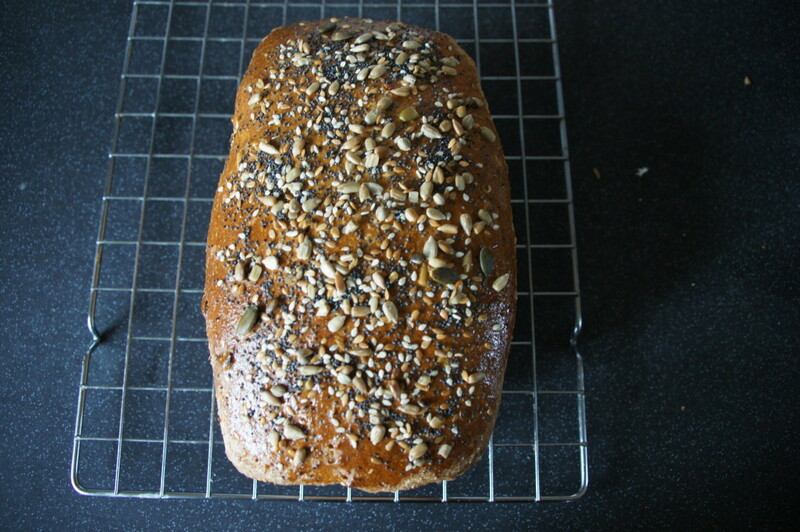 In the words of Mr Birdie ‘That’s a proper loaf – you could make toast from that!’ – as opposed to previous loafs I have made before which have perhaps not risen to the occasion!